The Robin EX21DUCR 7hp motor is chosen for its smooth running and long life. It has plenty of power for the job of driving the Hardi pumps for these applications. It has a robust construction with 2 lifting handles. Dimensions- 1140mm long, 370mm wide, 780mm high. DESIGNED FOR THOSE LONG RUNS OF POLY PIPE OFTEN SEEN ON SHEEP AND CATTLE STATIONS. Heads up to 150 metres - this is much more than most poly pipe will handle! Auto stop fitted to stop the motor. When the last tank on the line is full the pressure builds up & the modified pressure switch stops the motor. A float switch can be added to the motor switching if pumping from a tank when the supply runs dry. 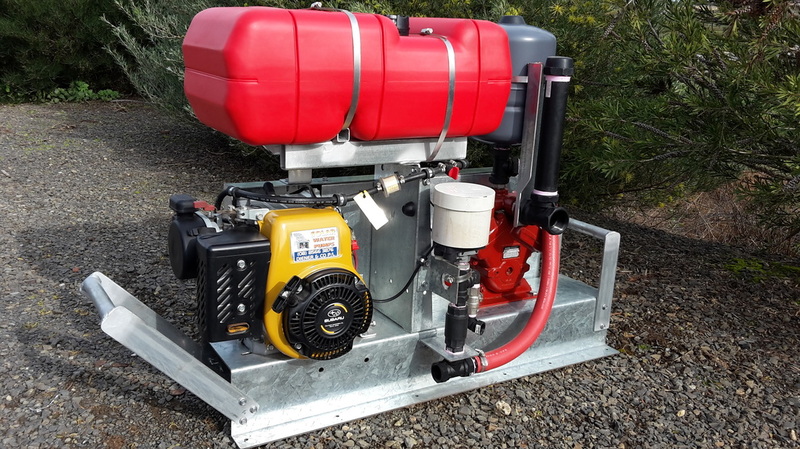 HARDI TRANSFER PUMPS - DIESEL VERSUS PETROL! Initial cost of petrol motor can be 6 times cheaper than a similar diesel motor!